Question Of the Day: Do you pay taxes? Are you dependent on the government? Posted By:@AVGJOhanna | At:10:21 PM Be the first to comment! According to Mitt Romney nearly half of the electorate does not pay taxes. According to Mitt Romney, nearly 1 of every 2 people believe they are victims and thus dependent on the government. According to Mitt Romney, 47% of the electorate feel entitled to receive government benefits for food and housing. Why has he said this? Apparently, those that are supporters of President Obama do not believe in taking responsibility for themselves and will never be convinced otherwise. Nearly one in two...so that is alot of people. Of the pair of two, one is a freeloader and one is not. So which are you? If it is not you, then perhaps it is your friend, neighbor, relative or spouse? If it is not them and not you, then who are these people? If you do take personal responsibility for your life and make a living for yourself, you could not possibly find a reason to vote for President Obama. I really want to meet these other people. For it to be nearly half of the electorate, surely I would know somebody that fits this bill. But I cannot think of anyone that meets this criteria. Most of the folks I know plan to vote for the President. So I ask the questions again...do you pay taxes? Are you dependent on the government? Are you a freeloader? Do you expect other people to take care of you? Do you see yourself as a Victim? 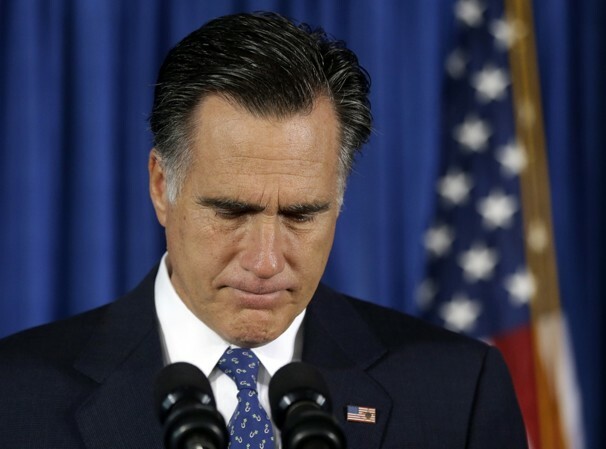 Click here to watch more videos of Mitt Romney Un-Cut.